Tiger, who? 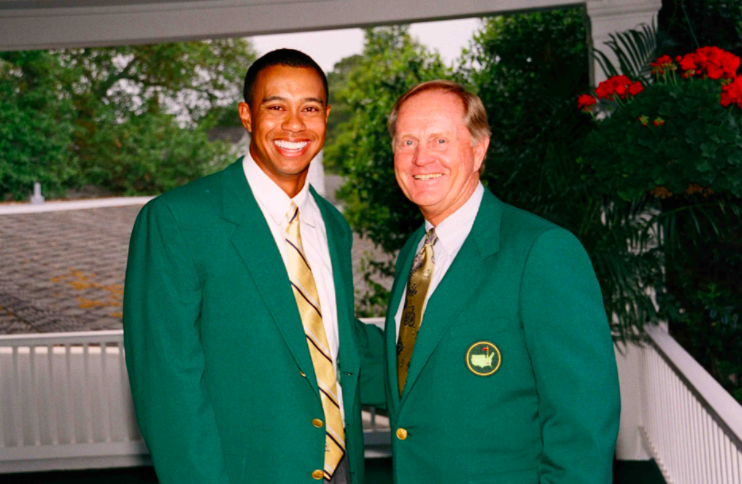 It’s funny how, back in 2008 after Eldrick Tont Woods won his 14th major crown at the U.S. Open in Torrey Pines, the sporting world was sure that he’d break the all-time record of Jack Nicklaus. Nobody saw his demise. Nobody saw that club-smashing wallop from Elin. Nobody predicted, eight years forward as he returns to competitive golf after a 15-month absence, that Tiger Woods is forgotten, balding, winless in 40 months, irrelevant. Today at the Hero World Challenge tournament in the Bahamas, TW returns to swing his TaylorMade M2 driver and to caress that Bridgestone ball using his Scotty Cameron Newport 2 putter. Tiger’s back. But he’s not supposed to join. Ranked a lowly 898th in the world (if my research is correct, our top-ranked Pinoy golfer Miguel Tabuena sits at 156), Tiger is playing in a field who’s lowest ranked player is No. 38. And when he last joined two years ago, guess how he placed? Last place. But, hey, he’s Tiger Woods — and so he’s playing. JACK NICKLAUS. Yesterday, Nicklaus was interviewed by BBC Sport and asked about Tiger’s comeback. Ever the optimist, he believes that Tiger has at least 10 more years of competitive golf ahead of him. 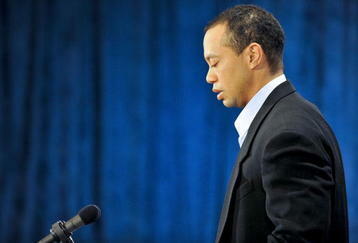 What’s troubling Tiger, he was asked, apart from his injuries? 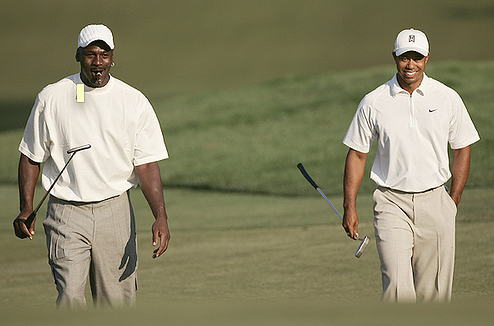 How about the possibility of Tiger breaking Jack’s record? Nicklaus won his 18th major at the age of 46. (He won his 16th and 17th at 40 years old.) Tiger turns 41 on Dec. 30 and he has amassed 14. Can he win five more at this late stage to surpass The Golden Bear? The two-letter answer is No. If he does triumph in one more major or accumulates a few more, it will be akin to Donald Trump’s improbable upset over Hillary. But if there’s one human being who can do it, it’s TW. “I don’t think anything is safe,” Nicklaus said, of his record. But first, the 76-year-old Nicklaus said, he’s got to prove it. The two-letter answer is NO. At his peak, TW soared with invincibility like Michael Jordan, was as dogged relentless as Rafael Nadal, and as famous as Manny Pacquiao is in GenSan. Consider this: From 1997 to 2008, he won 14 major trophies and achieved a career Grand Slam three times. His 79 PGA Tour wins is second only to Sam Snead’s 82. Tiger is acknowledged as the sporting world’s first billionaire, a feat he pocketed at the age of 33. He was en route to besting the likes of Ali, Pele, MJ, Lance (pre-doping revelation) and Phelps as the greatest human being who ever played sports. This was then; pre-Elin Nordegren. Now, he can barely walk. 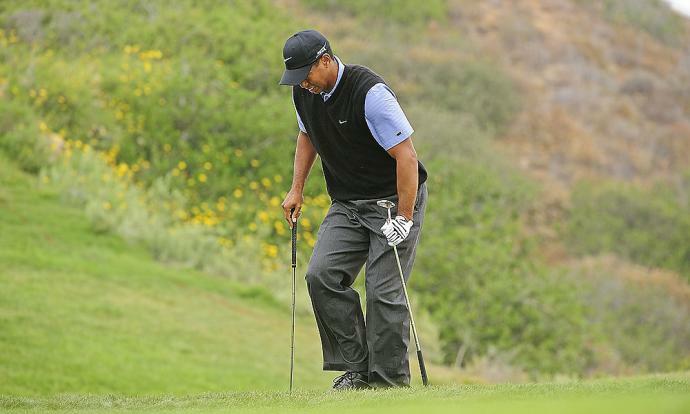 At the Farmers Insurance Classic last week, he limped and quit after 11 holes. The week before, he shot a horrendous 82 — the worst number he’s recorded as a professional. Mentally, during his peak, we know that he was unbreakable. It was Tiger who uttered these words: “My mind is my biggest asset. I expect to win every tournament I play.” Sure, up until today, he can summon his brain to conjure up images of success. That’s in the mind. But the bigger problem is everywhere else in his body; his physical maladies. Tiger is Nadal: he’s the most injured man among men. A quick listing of his ailments will give you a headache. He’s had afflictions related to the ACL, MCL, pinched nerve, tibia, cartilage damage, back spasms. BAYANI GARCIA. I sought comments from Cebu Country Club’s 2010 and 2013 club champion. Here’s Bayani Garcia: “Tiger’s number one priority is to get healthy. For a person to undergo as many injuries and surgeries as he has, recovery takes longer and not to mention he isn’t as young he thinks he is. Once you get older, recovery takes longer. Also, I really feel like he needs to submit to the fact that there are certain swing thoughts and movements that he used to do 10-15 years ago that he cannot do anymore because of his age and injury. He is always talking about speed and explosiveness in his drives and getting it back to where it used to be where in reality, its not. He has to humble down and admit that he won’t be hitting it as long as he used to and these younger players will, and are hitting it past him on a regular basis. “The only statistic that matters in golf is scoring and Tiger is arguably the best in this category in the history of the game. He is probably the most mentally tough golfer to ever play the sport and he will always find a way to score. His performances over the last 3 tournaments was rust in his game plus trying to revisit a new swing theory with his new swing coach. As golfers, we know that with any major change we introduce or re-introduce in our technique, the results take a long time to bear fruit. True. Jack Nicklaus won his 18th and final major (Masters 1986) at the age of 46. Two days from now, the world’s top golfers will converge in Augusta, Georgia for the “Super Bowl and Wimbledon of Golf.” It’s The Masters. But “The Master” himself, Tiger Woods, won’t be joining. The 14-major winner and current world number one is injured. Last Sunday, I chronicled a litany of injuries that have befallen the sporting world’s first billionaire. Yes, Tiger is that rich. He’s universally acclaimed as the wealthiest among athletes. Plus, among golfers, he’s the fittest. Standing 6-foot-1 and weighing 185 lbs., his height and weight are like Rafael Nadal’s. Comparing bicep to bicep, Phil Mickelson will cry with envy. But sporting an eight-pack abdomen and standing tall and robust like Tiger doesn’t make one injury-free. In fact, it appears that Tiger has spent too much time on the gym. “He will have to slow down on bulking up and lifting heavy weights off the floor or with his back unsupported by a bench and concentrate instead on conditioning of golf swing specific muscle groups.” Dr. Tony San Juan said those words. 1) Less time in the gym (mentioned earlier). 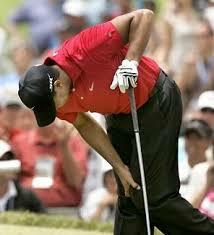 I’m sure Tiger is as frustrated as his fans about his ailments. The reason why Doc Tony is confident Tiger can hurdle all of his afflictions? 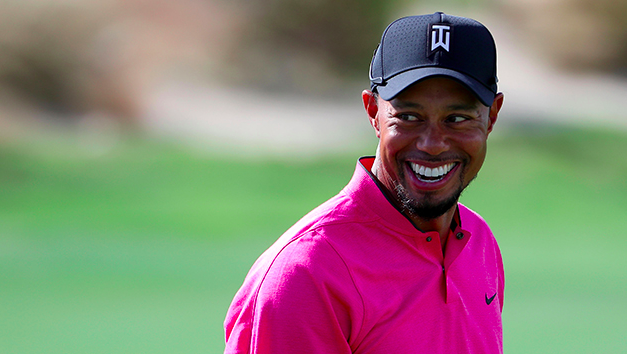 There’s no doubt that Tiger will be back. The question is: For how long? He’s one of humankind’s greatest competitors. But what use is a strong heart if the body parts are weak? How did he get injured? He had a misstep and twisted his knee and ankle. While running! My common sense advice for Tiger? Stick to golf. Quit running, weight-lifting and skirt-chasing. When The Masters begins this Thursday, one name will be missing: the world No. 1. Golf isn’t like MMA. It’s not like football or basketball where injuries abound. It’s not Pacquiao punching Bradley. Golf is a gentleman’s game. It’s a sport of leisurely walks, effortless 9-iron swings, soft putts, gingerly handshakes. Golf is not a sport of injuries. That’s what I thought. Perplexed at Tiger’s injuries, I sought the advice of the country’s top sports and orthopaedic doctor. Dr. Jose Antonio San Juan is one of the most in-demand physicians in town. Call his clinic (Cebu Orthopaedic Institute) and you’ll be lucky to get an appointment this week or the next. I queried Doc Tony about Tiger. I asked him not only because of his medical authority but also because he’s a Class A (9-handicap) golfer of the Cebu Country Club. Can Tiger fully recover? Find out the prognosis of Dr. San Juan this Tuesday. In Cebu golf, Marko Sarmiento is one of the longest-hitters off the tee. He averages 290 yards and, when the fairways are dry, that number can exceed 340. Just like Bubba Watson. “Yeah we’re both long hitters that aren’t great putters!” said Marko. “It’s no secret the key to winning the Masters is great putting. When Tiger won his first green jacket in 1997 he didn’t have a single 3 putt! “Bubba? He’s one of the worst putters on tour. He’s ranked 154 out of 182 but.. he’s ranked 1st in driving distance (313 yards!) and 2nd in greens in regulation. In other words, he gives himself a lot of chances for birdie because of his superior power which leaves him mostly wedges for a 2nd shot. He’s also known to be able to shape the ball any way imaginable and this has to do with his inability to hit fairways off the tee because of how much club head speed he generates. And because of his creativity, he won the Masters! “This could not have been more evident with his 2nd shot on the 2nd playoff hole. He had to hook his ball 40 yards with a pitching wedge! Trust me, this isn’t easy to do. 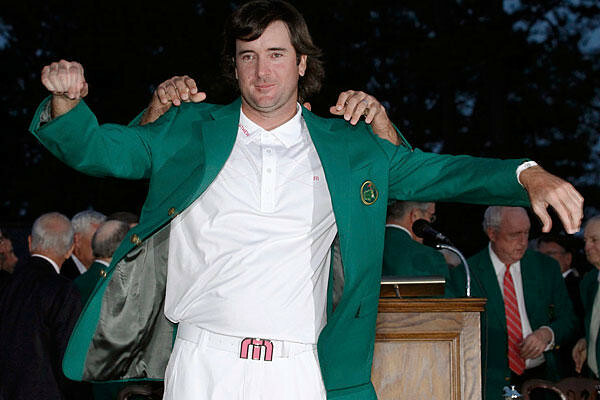 Having a Masters champion like Bubba is great for golf. He’s known to be very outspoken, uses a pink Ping driver and cries like a baby on national television every time he wins a tournament. The saying “drive for show and putt for dough” didn’t hold up last week! “Unlike Rory McIlroy and Luke Donald (the 2nd and 1st ranked players in the world), Bubba (who’s now at number 4 after his win) isn’t as well-rounded. But because of creativity, raw power and a new found confidence, I wouldn’t be surprised to see him challenge them. Go Bubba! “Gen Nagai, CCC’s star rookie in the PAL Interclub, is perhaps the biggest Bubba Watson fan in the entire island of Cebu. Just recently, he even had his driver painted pink. Said Gen Nagai: “They said Bubba always visits there as much as twice a month just to hang out. He is quite friendly and fun. But he is also weird because he tries shots that no other pro would try. For example, he would face the other way and try to hit the ball under the roof, then over the trees, then into the putting green. “Bubba is also the only Ping-sponsored pro who can hit it over the boundaries of the range which is over 350 yards away. Other Ping pros include Lee Westwood, Louis Oousthuizen, and Mark Wilson. 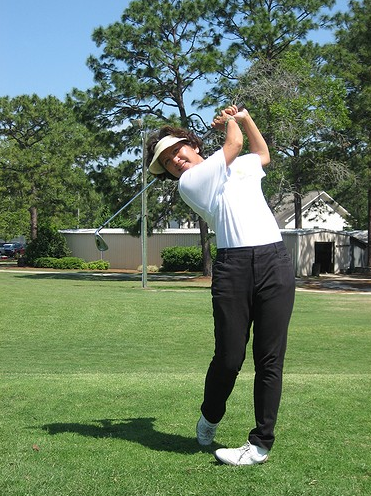 “They said that while Bubba is known for hitting the ball very long, he has incredible touch and feel, and attempts a lot of shots out of the ordinary using his creativity and imagination. Jovi continues… “After hearing Gen’s stories about what the people in Ping said about Bubba and his incredible shots in their facility, it was less of a shock to see his 40-yard hook with a wedge from over 150 yards below and around the trees in the second playoff hole that sealed the victory in the Masters. 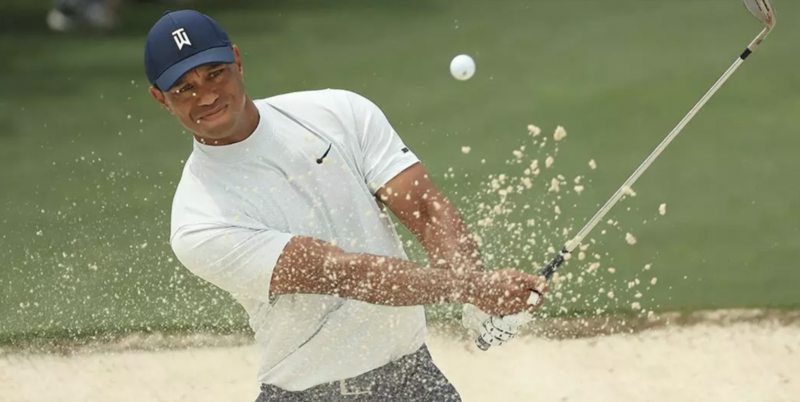 “My take on Tiger: two tournaments ago in Bay Hill he just won convincingly. He may have struggled in the Masters but it’s just one tournament. Rory McIlroy and Luke Donald quietly had mediocre performances too but it slipped under the radar because they are not scrutinized as much as Tiger. “If a Filipino got invited to play the Masters and made the cut, he would probably be hailed as the greatest Filipino golfer of all-time. But if Tiger just makes the cut and fails to contend, people think he is a goner. Tiger is a victim of his greatness. A non-golfer, I woke up early yesterday. Like a golfer. You see, if you play this sport of hazards, hooks, hole-in-ones and handicaps, you’d have awoken early the past four mornings. Nilo Domingo, the best golfer from our Rotary Club of Cebu West (handicap: 9), had wide-open eyes yesterday from 1 to 7 a.m. He watched The Masters. Like most golfers. It was the 75th anniversary of the greenest of all greens. And, it might have been the most tumultuous finale at Augusta. A lawyer by profession and golfer by obsession, Jovi Neri, the 2002 Cebu Country Club champion, analyzes golf as accurately as his tee shot. The champion? Charl Schwartzel, a player I had never heard of before. Was he German? A famous brand of sausage? Why was his name pronounced “Sharl?” “The last time a winner finished four under over his last four holes was 25 years ago when a certain Jack Nicklaus won his 6th green jacket at age 46, and defied father time. 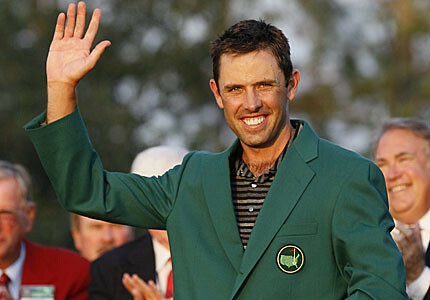 What a way for Schwartzel to commemorate that historic `86 Masters with his own version of a strong finish,” said Jovi Neri. Early yesterday, I watched those final four holes. It was dramatic. You didn’t know who’d win. Would Tiger’s 10-under be enough for a play-off spot? Then, all of a sudden, this South African ranked 26th in the world made birdie after birdie after birdie after birdie. 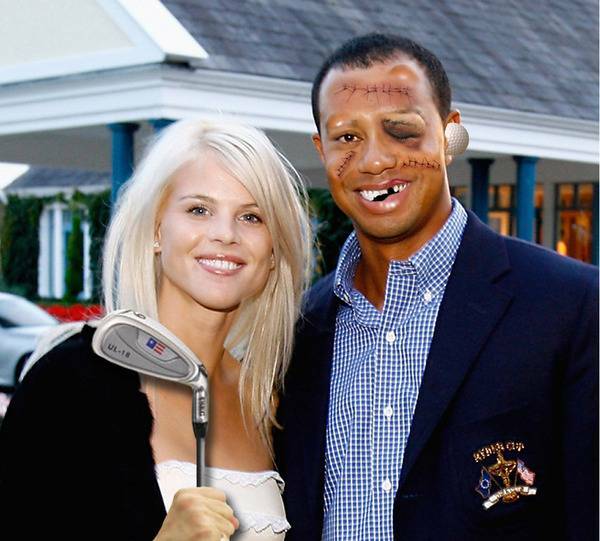 Although there still remains speculation on how Tiger got his lips cut up the other night….some say his lovely little wife did in fact take a 9 iron to his mug as a result of a domestic dispute over another woman. Others are saying that he did a face plant into the steering wheel or windshield when he hit a fire hydrant and then a tree, because he couldn’t sleep that night thinking about the upcoming tourney he was hosting and the problems he has had driving it straight…so he was out practicing bare foot in his escalade! 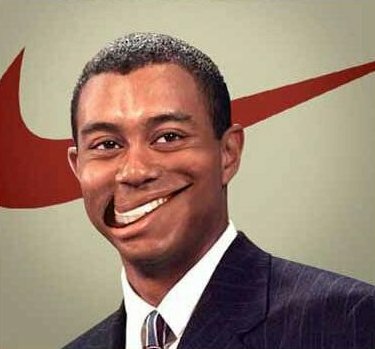 But, NIKE has once again shown complete support for their prize athlete and have paid for reconstructive lip surgery…. Late yesterday, I ran with Frederic Chiongbian, one of my best friends in marathon-running. As we spiraled around the Cebu Country Club golf course for 10.5 kms., our talk, naturally, centered on golf and a certain Mr. Woods. I knew Tiger won the Buick Open but did not know an astounding fact until Frederic mentioned it: On Day One, Tiger scored 71 and placed 75th. With a poor Day Two showing, he’d be booted out of the tournament—just like the British Open. But, no, Tiger shot a 9-under 63 and, by day’s end, ranked fifth—a whopping jump of 70 places. Astonishing. Tonight at 9 p.m. (RP time), over the Star Sports network (SkyCable channel 22), when Andy Roddick and Roger Federer meet in the final of the world’s oldest tennis tournament, the winner will defeat…………. Tiger Woods. Kobe Bryant fans, sorry, it’s not him. With how KB24 has performed thus far—and how his team’s going to lose the NBA Finals this Wednesday morning—he’s far from being compared to MJ23. There’s only one man who can be likened to the greatest-ever athlete who stepped foot on earth. He’s of the same color, slightly shorter, of the same muscular build. The only difference? While MJ dribbled and dunked, this superman putts and pars. Know him? Of course, you do. Because while 96 percent of the populace—in my far-fetched estimate—can’t afford to play golf, 1,000 percent know him. TW1. Isn’t he amazing? Isn’t he talented beyond anyone, possessing steely nerves unlike anyone, with the perfect swing and the handsome face and the bulky biceps and the Nike red shirt-every-Sunday and the screaming pump-fist unlike anyone?